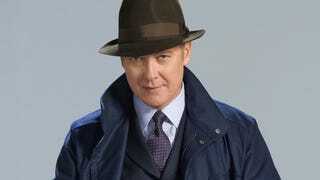 Because I am of a certain age and puffy resemblance, and because I spent the last few days in a binge viewing of Season One of The Blacklist, I have decided to go on a Raymond Reddington-themed wardrobe makeover. I am having a bit of trouble ascertaining specific brands (or reasonable equivalents) of the main pieces (hats, overcoat, pea-jacket, sidearm, etc.) and I find myself up against having to dip myself into the user-interface cesspool that is Reddit to glean this information. So far I have ascertained a fondness for Ermenegildo Zegna ties, but I went down that path 20 years ago. Anyone who can shed some welcome light onto this endeavor in these civilized environs will know that my gratitude will last a lunchtime. ETA: I obliviously omitted the part where I state that the goal of this exercise is to achieve the look for pennies on the dollar and not buy the actual brand names themselves.